I loved field trips as a kid. I always wanted to be the first off the bus so I didn’t miss anything. I wanted to be in the front of the group so I could hear everything our tour guide said. I wanted to see everything I could possibly see before we had to board our “cheese wagons”, as our Native American guide at Ganondagan referred to our busses. I remember that 7th grade field trip like it was yesterday. I’ve been brainstorming blog post ideas with my daughter (who will be entering 4th grade in the Fall) and trying to figure out what she would like to see and do in the Finger Lakes this summer. Waterparks are her number one answer, every time. I’m hoping for something a little more educational, although we will likely hit Roseland Waterpark at some point. Here is my 4th grader-approved list of Field Trips in the Finger Lakes that we plan to explore this summer! 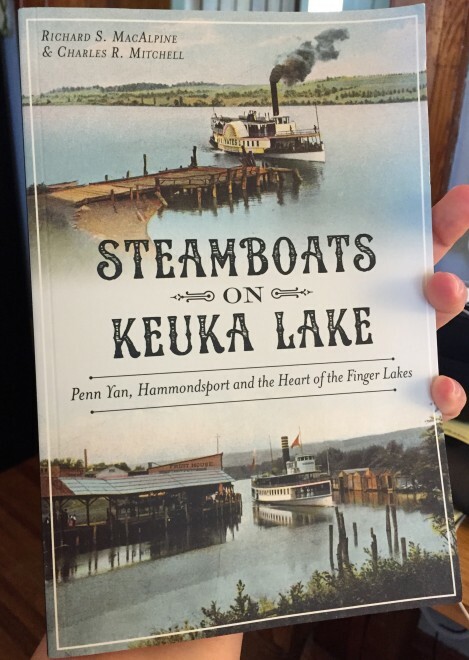 I recently picked up “Steamboats on Keuka Lake” at our famed local book store, Longs’ Cards and Books. It is written by two local historians, Rich MacAlpine and Chuck Mitchell. Keuka Lake has a rich history of steam boats and this book is filled with fascinating local stories from the mid to late 1800’s and early 1900’s. We’re planning to visit a handful of former steamboat landings on Keuka Lake that are accessible to the public (which ones? You’ll have to wait and find out! Hop on my email list so you don’t miss out!). We’ll do this throughout the summer, and we may even explore them from the lake. Stay tuned. The Steamboats on Keuka Lake paperback book is $18 on Amazon and there is a $10 kindle available coming in September through Amazon as well. Millard Fillmore, the 13th President of the United States was born in Moravia, not far from Owasco Lake. 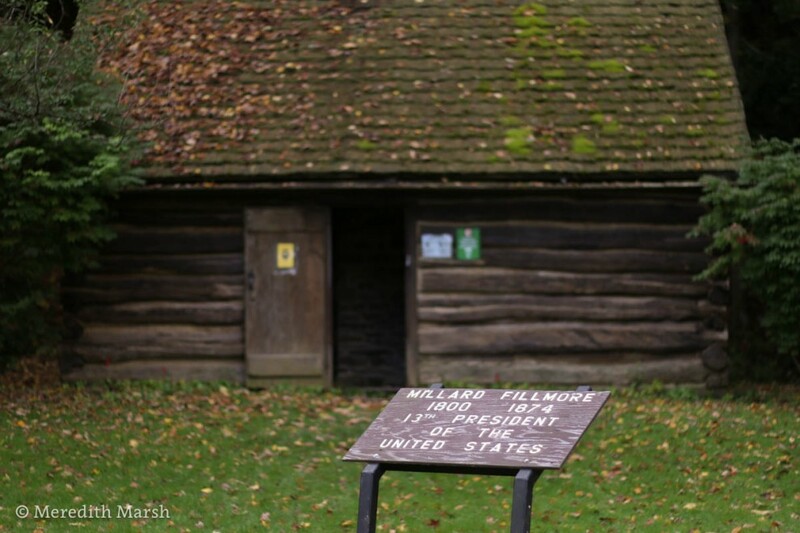 There is a replica of the cabin where he was born at the Fillmore Glen State Park in Moravia, which we’ve been to. But we’ve never ventured to the location of his birth in the hills outside of the village, so we plan to do that this summer. The Genesee Country Village and Museum is a 600-acre, 19th-century living history museum Genesee County. Genesee Country Museum is one of the first places I think of when I think “field trip”. I’m sure I went there as a kid but I sure don’t remember much about it. This might be the field trip I’m most looking forward to this summer! Didn’t know this existed until recently, to be honest with ya. But seems work checking out with young kids! This is in LeRoy, Genesee County. Another adventure I had as a kid, that I have almost no recollection of. Time to re-explore I think! I think there are several places where we can do this, so I’m not sure where we’ll go. Suggestions? 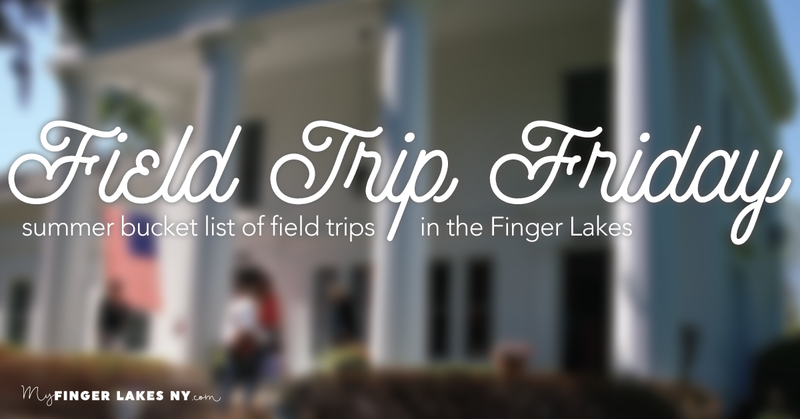 What are some of your favorite Field Trips in the Finger Lakes? There are TONS more, I know, but the summer is only so long… I need to save some ideas for future summers. Throw me your suggestions below, and stay tuned for my blog posts (and videos?) from these field trips this summer! Sign up to my email list so you don’t miss out. My name is Meredith and I grew up in the Finger Lakes, but I never really grasped beauty and charms of the area until I moved away. After spending a few years out of state, the beauty of the Finger Lakes eventually lured me back home. Now I use this blog to share adventures in the Finger Lakes with you. 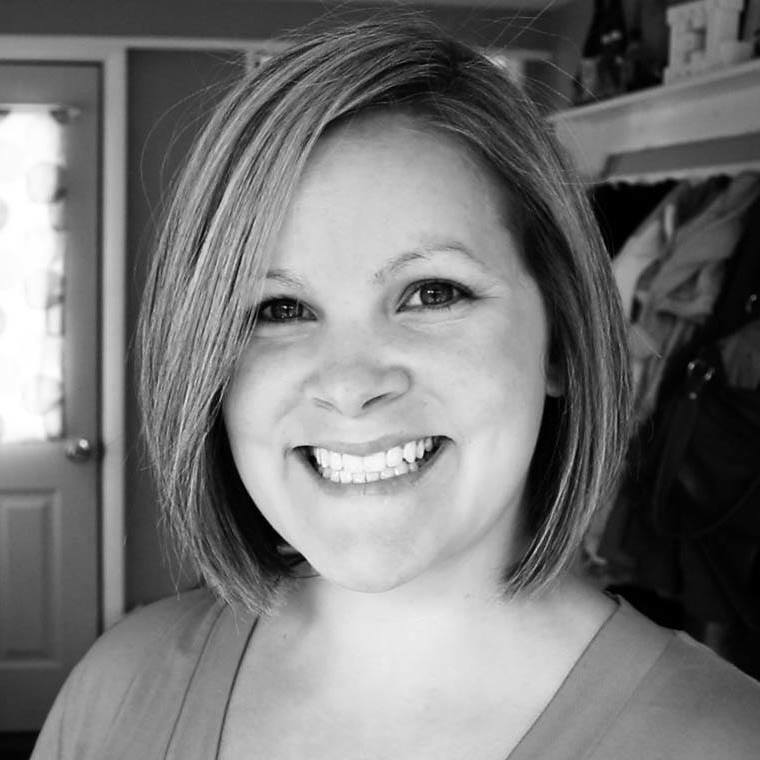 Meredith is a FlipKey Destination Expert for the Finger Lakes.